-Wash and rinse glutinous rice and keep doing this for about 5 minutes. -Put water and washed glutinous rice in a small pot bring it boil. -Fold the glutinous to ensure nothing will stick at the bottom of the pot ,then simmer for approx 15-18 minutes. Fold the rice occasionally. -While waiting for the rice to be cooked. In goes the coconut milk,sugar,salt in small pan. Gently heat until sugar dissolves. This is your coconut sauce. -Get the sharp knife , peel and slice the mango thinly. -Once the Glutinous rice is cooked. Take off the heat and pour in 80 ml of coconut sauce while the rice still hot. Fold the rice gently with a fork. Make sure that coconut sauce is coatng the rice well. 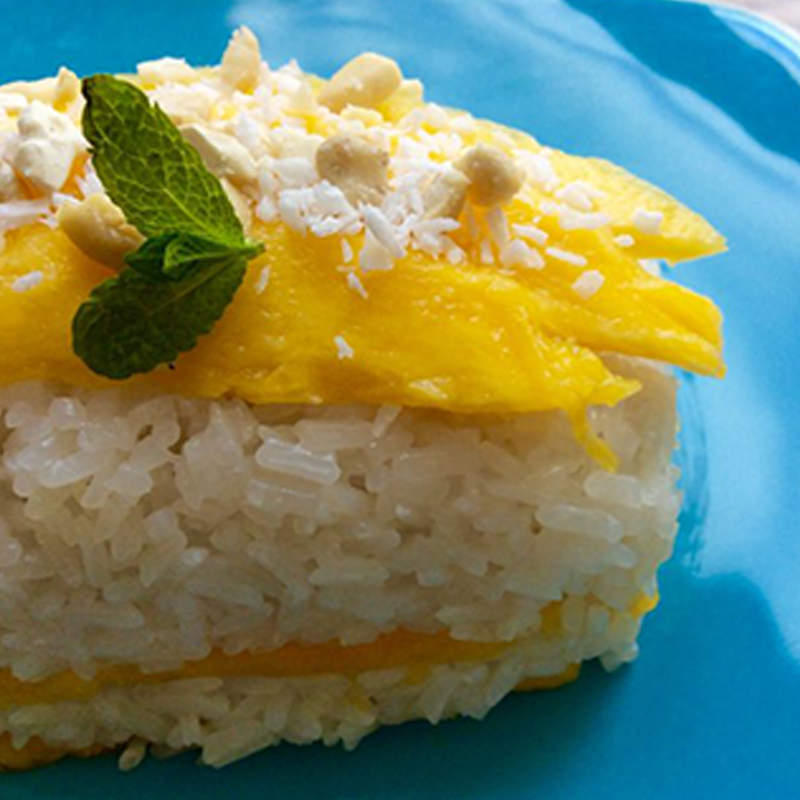 Layer the mango on serving plate then rice , mango and lastly rice again on the top. -Sprinkle chopped cashew nuts and desiccated coconut on the top. Garnish with baby mint leafs. -Serve with the rest of coconut sauce in the little sauce bowl,if you like extra creamy and saucy. 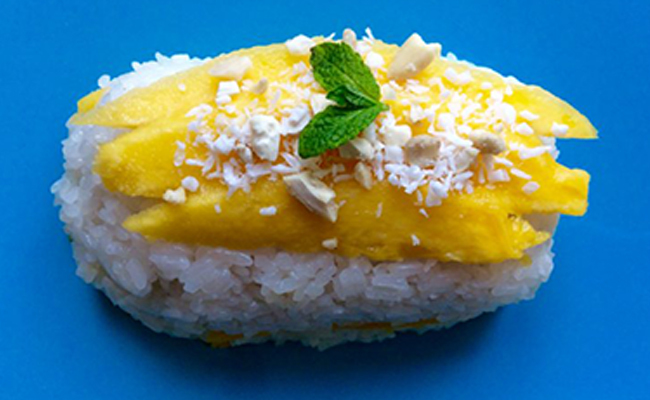 Serve the sweet glutinous rice and coconut sauce warm with room temperature mango.